With production to begin in December or January, Sony has once again answered the demands of the consumer with the next generation high-definition industrial camera. It only gets better with the soon to be released 30X optical zoom FCB-EH6500; the new addition to the ever popular FCB series. As if the Sony FCB Series isn’t impressive enough, with this new addition to the FCB family, the consumer now has a selection of optical zooms from 12X to 30X. You might think that the 30X optical zoom is enough to warrant a new camera, but Sony didn’t stop there; this new camera has additional enhancements from its predecessor the FCB-EH6300. 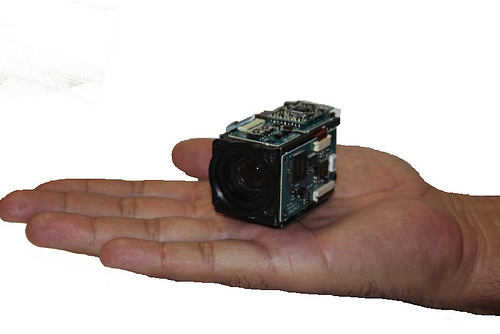 These new features include image stabilization, mounting threads for angel lenses and 2X extenders, external sync, global shutter and more zoom in the narrow field of view 1.5 degrees or better. These enhancements make the FCB-EH6500 the perfect solution for military, intelligent traffic, police vehicles, photo booths, low vision and video conferencing applications. Contact Aegis Electronic Group toll free at 888-875-6091 to place your order. 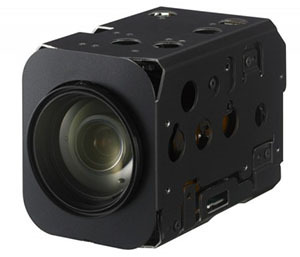 Aegis Electronic Group is a direct distributor of Sony Industrial and Machine Vision Cameras.